Do you care about your home? 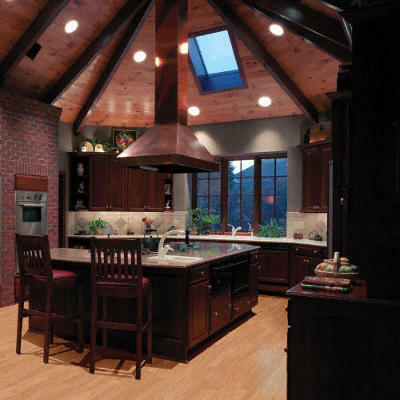 If you do, Graham Flooring and Cabinets can help you maintain or improve your flooring, cabinetry, and countertops. If you need just a powder room floor done we're glad to help. If you want to gut the entire house and start over we can do that, too. But if you're like most of us, it's probably somewhere in between. And you are probably tired of places where you can't get answers from underskilled employees, people who don't keep appointments, vendors who can't do EVERYTHING involved in your job, and "handymen" who want to clean your gutter today and remodel your kitchen tomorrow. Do you think it's time to visit a professional who can make all that pain go away and actually get your project done beautifully, in a reasonable time, and at a fair price? Oh yeah, if you've ever gone through the pain of the box stores or tried to find a contractor you trust, we know you're gun shy. But come see us - our job is to make the pain go away when you need the kind of jobs we do. If you have a floor, kitchen, or bathroom, we do everything you need when it is time to update any of those things! On a budget, ready for a magazine-quality makeover, or anything in between, we work to YOUR budget. If you are a do-it-yourselfer we have the products for you. If you want the total job executed quickly, professionally, and only one source to deal with, we are the only company in the area that has both products and crews to handle everything, from one room of carpet to a complete home makeover. Close to Lane Allen Road, next door to Frisch's. The white building with the blue metal roof! CALL FOR A PERSONAL APPOINTMENT! We know everybody doesn't live on the same schedule. We will accomodate your schedule and make sure you have our full attention!